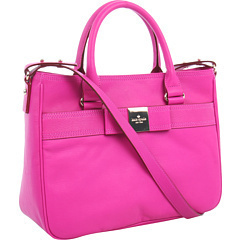 I am in love with this fuschia bag from Kate Spade. It would look amazing with my fall greys, black, and other neutral. 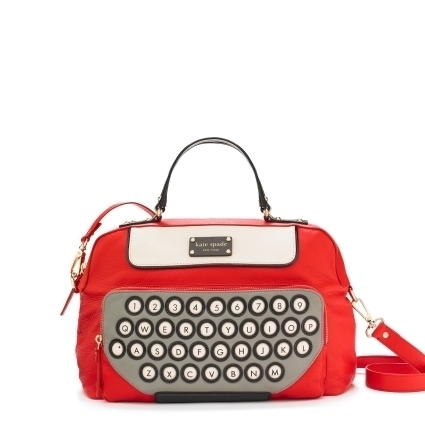 I love this tongue in cheek All Typed Up Clyde typewriter handbag by Kate Spade. How often does QWERTY get to be cute? I'd so get this if I were a cute engineer or the fashionable software developer. Luckily, I'm not. If I were, I'd be able to afford it. I think Computer Engineer Barbie would approve. All Typed Up Clyde handbag, Kate Spade, $495. P.S. I'm pretty sure this pouch is Clyde's best friend. 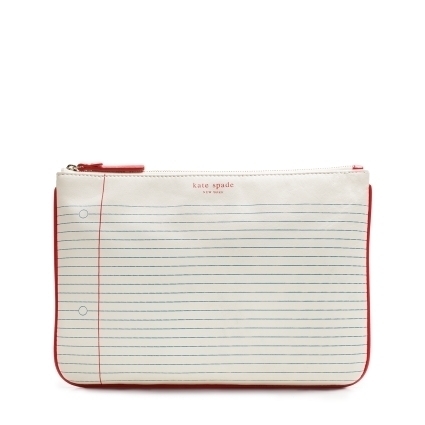 All Typed Up Large Pouch, Kate Spade, $95. 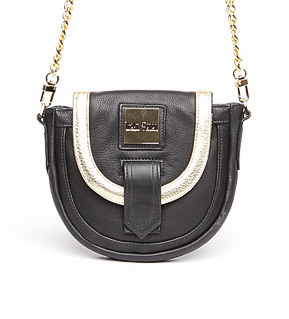 I love the West Feren Berkshire crossbody bag. Mini crossbodies seem to be the rage this fall. Perfect for the necessities - car key, house key, credit card, ID, smartphone. I fell in love with Shebang when I visited Chicago a few years ago. They are definitely worth a visit the next time you're in town. Great collection of handbags, fashion jewelry, and accessories. I do wish Shebang posted how much stuff fits in the handbag a la Hayden-Harnett.